"What you see when you look at an archival film, are resurrections taking place…" See the first trailer for a documentary premiering at the 2018 New Zealand Film Festival titled Merata: How Mum Decolonised the Screen. The film is a profile of the iconic Māori filmmaker and international champion of women in indigenous film, Merata Mita, who passed away suddenly in 2010 at the age of 68. This documentary is made by her son, Heperi Mita, utilizing tons of archival footage and home videos and all kinds of personal stories to tell her story in the best way possible. 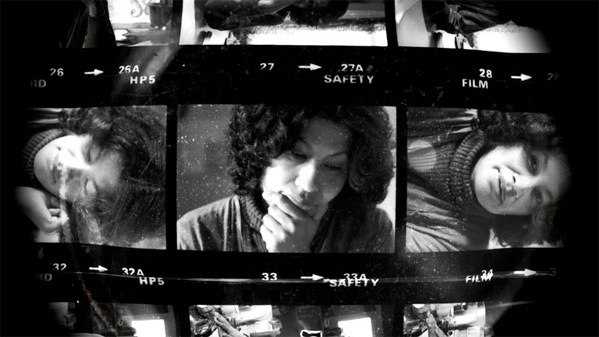 Mita was the first indigenous woman and the first woman in Aotearoa New Zealand to solely write & direct a dramatic feature film, Mauri in 1988. Thanks to a tip from Taika Waititi, you can watch the first teaser trailer before the film's premiere at the New Zealand Film Fest next month. I love the way this is edited with shots of him working on the old film prints. Looks damn good. Original description from the New Zealand Film Festival: "Merata Mita, pioneering Māori filmmaker and international champion of women in indigenous film, is celebrated by her youngest son, archivist Heperi Mita, collaborating with his siblings to deliver a richly personal portrait. […] By the time the pioneering indigenous filmmaker and activist Merata Mita died suddenly in 2010, she had packed an extraordinary amount of action into her 68 years. If her youngest son Heperi Mita became a film archivist and a filmmaker in order to discover the stories she did not live to tell him, then we in Aotearoa have something new to thank her for. His first film is a remarkable accomplishment, a compelling Great Woman portrait that speaks intimately from personal experience." Merata: How Mum Decolonised the Screen is directed by filmmaker Heperi Mita, making his directorial debut. This will be premiering at the New Zealand Film Festival in August this year. No other release has been set - stay tuned. First impression? Who's intrigued?